Co-Founder and CXO of Ideas Collide, Rebecca Clyde shows professionals how to write a powerful branding statement in 40 minutes. Long time marketing professional Rebecca Clyde has spent her career perfecting powerful marketing and branding strategies. During a recent Chamber event, Clyde empowered audience members to craft their own personal branding statements in just 40 minutes. Prior to founding Ideas Collide Marketing Communications firm, Clyde worked extensively at Intel to launch more than 50 products to markets around the world. Her extensive marketing experience has shown her that developing a personal, powerful brand can be challenging. Despite the challenge, Clyde helped professionals attending July’s Professional Women’s Alliance luncheon to formulate their brand statement, which should reflect how they would like to be known in the workplace. A branding statement that achieves that, she said, leads to strong leadership and success. “Your personal branding statement communicates the essence of who you are,” Clyde explained. Honest self-reflection is the critical first step of developing a branding statement that successfully differentiates someone in their market. Ask yourself questions such as: What I doing? How am I accomplishing my goal? Who benefits? What value are my actions providing? The answers provide great guidance in developing a branding statement. Clyde advised that a successful personal brand isn’t defined by being known around the world. Professionals that get the most value focus on connecting with an audience that needs them. “Be famous selectively, to the people who need to know you,” Clyde said, citing a quote from Forbes contributor William Arruda. Writing a branding statement is part of the challenge. The other more difficult part is living it. Professionals should challenge themselves to live up to the brand to which they have committed. A powerful personal branding statement isn’t just what is written on paper. It’s about how a professional conveys it across all channels. If a professional is promising great results, they need to be able to deliver them. Clyde’s unique experiences set her apart and have led her to a successful career in helping brands spread their message. Clyde’s personal branding presentation and workbook are here. 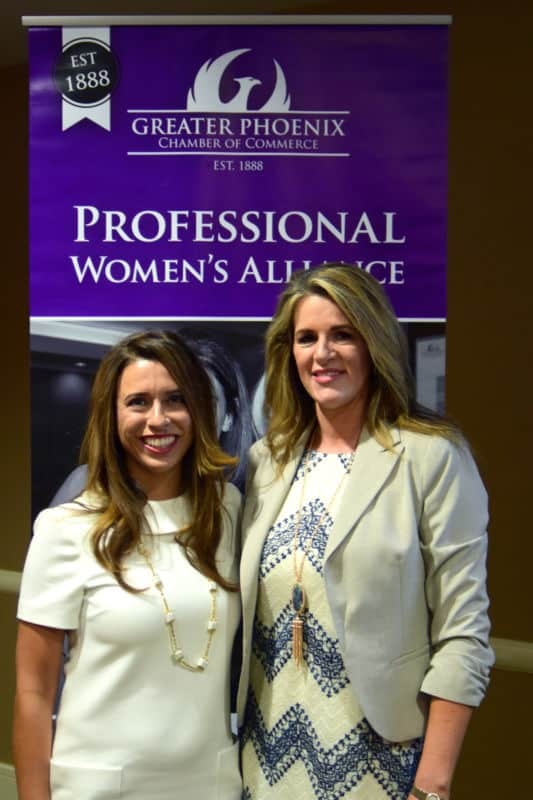 Rebecca Clyde’s presentation was part of the Chamber’s monthly Professional Women’s Alliance luncheon. Next month, this popular series features a presentation from Arizona Congresswoman Kyrsten Sinema. Register here. – Written by Alexie Chavez, marketing coordinator for the Greater Phoenix Chamber of Commerce.